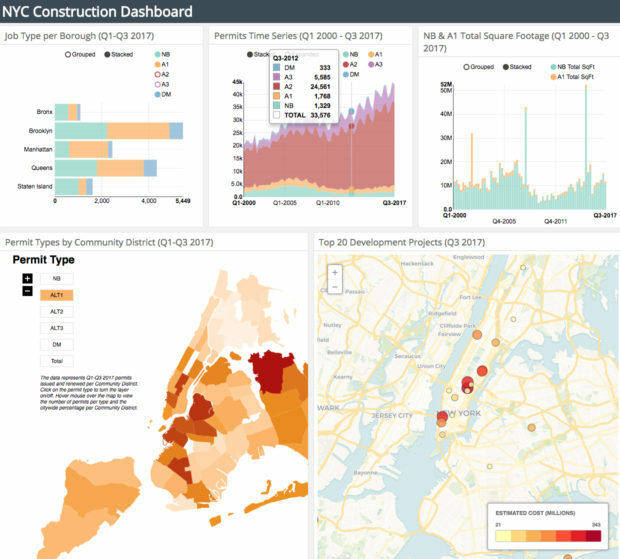 Know where construction is booming or discover untapped neighborhoods with the New York City Department of Building’s new Construction Dashboard. This incredible resource is now available online and shares valuable information such as the number of development projects in progress by borough or the total square footage under construction listed by quarter. The dashboard also maps the city’s top 20 development projects with address and cost information. As a building professional, you can now visually verify which neighborhoods are in fact trending with specific types of development. Looking to develop a new amenity project in TriBeCa? You’re in luck, with the new Construction Dashboard, you can instantly see a snapshot of several large residential projects currently underway. Have a new project for 2018? Have questions about these new requirements? Contact us at (212) 563-6760 or info@kmaofny.com, we’re here to help move your project forward!